Enjoy an evening of fabulous food and wine in the Gardens VIP section. Your ticket includes access to the zone where you will enjoy canapés and a casual ‘walk and fork’ dinner. You’ll have prime viewing to make the most of Electric Gardens. Additional facilities include premium toilets, a private bar, with a wider selection of wine and cocktails. 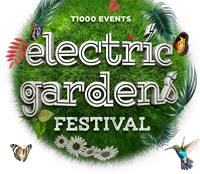 Electric Gardens is widely regarded by electronic music fans thanks to the directors’ careful curation skills when it comes to their line-up. Their hugely successful event in 2018 was hailed by many as a return to the lost glory days of outdoor Australian summer dance music festivals. In previous years, Electric Gardens has brought Australia international music maestros Fatboy Slim, Eric Prydz, MK, Basement Jaxx, Sasha, John Digweed, Jamie Jones, Dubfire and many more…and we’re thrilled to gather two global heavyweights and festival regulars from around the world to you come February 2019. 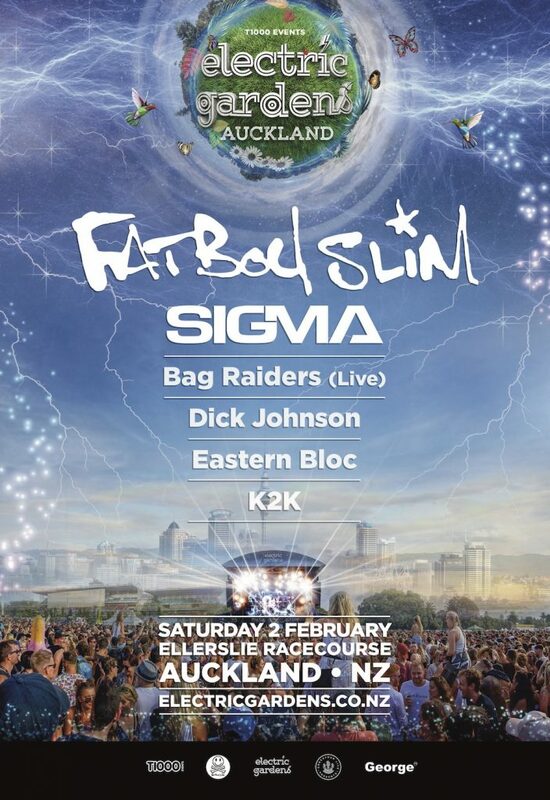 After a highly successful Electric Gardens Australian tour last year with a string of truly unforgettable performances, our weapon of choice, FATBOY SLIM, is pulling on his signature Hawaiian shirt and preparing to once again to be the life and soul of Electric Gardens! If you’ve heard a radio in the past twenty years you’ll of course be familiar with the Brit-Award winning English DJ/producer Fatboy Slim, and know all the words to his mega-hits ‘The Rockafeller Skank’, ‘Praise You’, ‘Right Here, Right Now’, ‘Birds of Prey’, ‘Weapon of Choice’, ‘Body Movin’ and more. Having developed his own trademark style – repeated vocal mantras, stomping beats and retro samples of horns and guitars – Fatboy’s unique combination of hip hop and techno (‘big beat’), and later mastery of EDM, has won him critical and commercial acclaim worldwide. His best-selling albums – Better Living Through Chemistry, You’ve Come a Long Way Baby and Halfway Between the Gutter and the Stars – are in record collections all over the world. Fatboy has an awesome stage presence and is always the life and soul of every party – he’s sure to have all of us eating out of the palm of his hand when he plays many of his own dance classics and remixes, in what’s sure to create an exhilarating dancefloor euphoria at Electric Gardens once again. Establishing themselves as one of Britain’s biggest electronic music exports in recent years, with huge hits like ‘Nobody To Love’ and ‘Changing’ (featuring Paloma Faith), and fresh from playing SW4, Creamfields and many other Summer festivals. The multi-platinum selling DJ / Production powerhouse SIGMA, complete with LIVE vocalists, will be bringing a huge production to the main stage. This team of talented Aussie ‘stars’ shot overseas after ‘Shooting Stars’ catapulted them to international acclaim. Returning to Australia to make their very special hometown appearance are multi-instrumental musicians Bag Raiders, who will tour live with Electric Gardens both in Australia and New Zealand. FINAL RELEASE GA and VIP TICKETS ON SALE NOW THROUGH EVENTBRITE. Respect the beautiful surrounds of Ellerslie Racecourse. For Event FAQs click here.